I met Emma FitzGerald at a past Urban Sketchers Symposium. I forget if it was Lisbon? (No – it was Paraty Brazil). One of the first things you ask at an international sketching conference is where someone is from. I’m always excited to hear someone is a fellow Canadian. She probably told me she’s from Halifax – but it’s complicated – as she seems to be from all over. Born in Lesotho South Africa, grew up in Vancouver Canada but now living in Halifax. I’ve done a lot of city hopping myself, and I find being a transplant to a place leads naturally to obsessive sketching. You’re new to a town, you want to explore it. It can become a passion – finding new corners to draw. 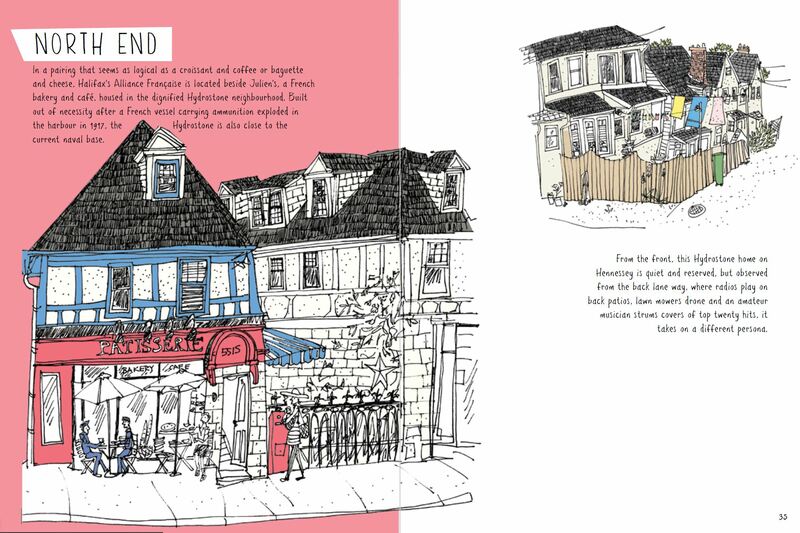 Emma has recently released her book Hand Drawn Halifax: Portraits of the city’s buildings, landmarks, neighbourhoods and residents. She was gracious enough to let me review a pre-released copy – so I’ve only seen it in pdf format. But now it’s out, and we can all get our hands on it in print. 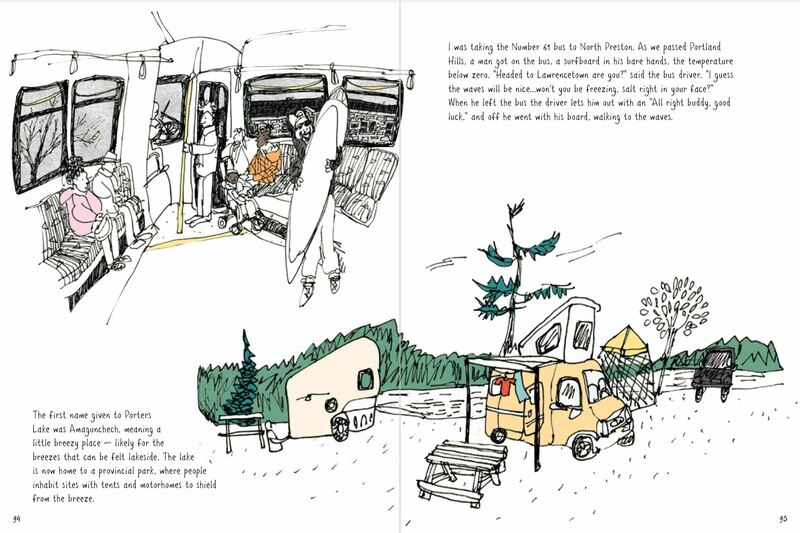 I was immediately impressed with her storytelling and sketching. The word that jumps to mind is “charming”. Her intimate sketches and poetic story-snippets of her now-home-town will absolutely charm you. You’d have to be an ogre not to fall for this town. Halfway into the book you’ll be packing to move. I reached out to Emma to ask a few sketching-related questions. I’ll let her tell you about it in her own words and pictures. MTH: So, you’re not from Halifax originally, but you’ve lived there over a decade. How long had you been in town when you began these drawings? And how long did the book take to write! It seem like you’ve been to every street and alley of your town. EF: I started the drawings in 2013, so 9 years after arriving in Halifax. I had always drawn while travelling, but it took losing my job and the new necessity to create income, to get me drawing what had become my home town. Knowing where I wanted to draw was in many cases informed by years of ‘research’ going to different places in the city. Lots of places were completely new to me as well. 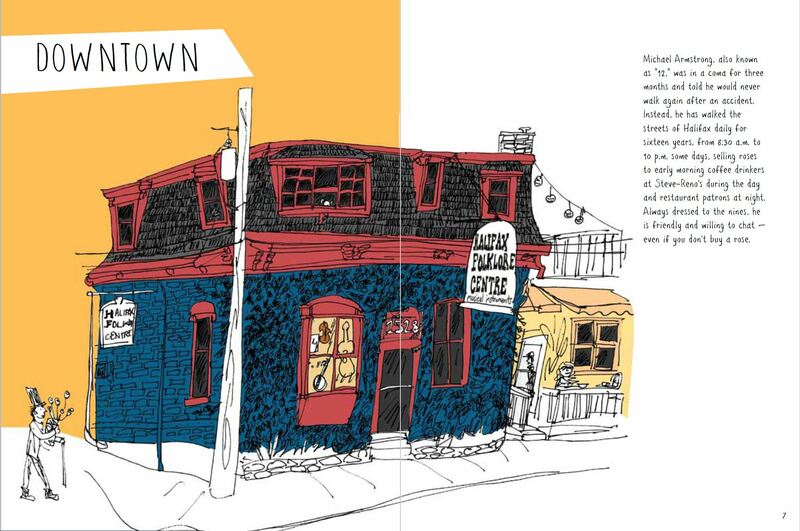 Once I realized I was making a book about Halifax, the project took me two years to complete. MTH: Each of these sketches has a perfect little story to go with it. How did you choose the places to draw? Did you find the story or location first – or – is there some other magic to the storytelling? EF: A variety of factors informed what I drew. I wanted both the most ‘typical’ Halifax moments, and also, the things people wouldn’t think to notice. 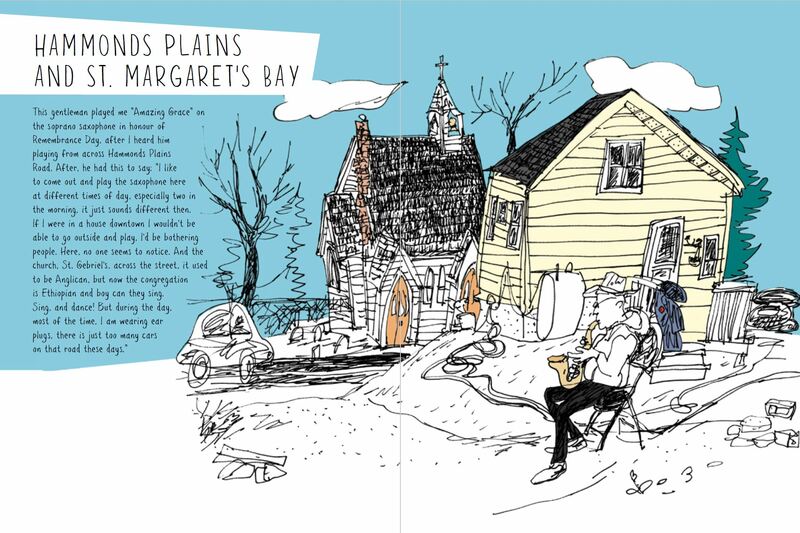 Most of the text was generated simply by listening to what was going on around me while I drew, though in some cases I referenced a previous memory, like Elvis in the South End, or turned to a reference to gather a few historic tidbits, like the history of the Ferry boat in the Halifax Harbour. MTH: Your drawings are very direct, very economical, yet they have a feeling of immediacy. How did you arrive at your style? How much of your drawing technique is just capturing life as it happened, and how much is strategic? EF: I think I developed this style through drawing a lot in small sketchbooks while travelling with friends who weren’t necessarily interested in drawing! 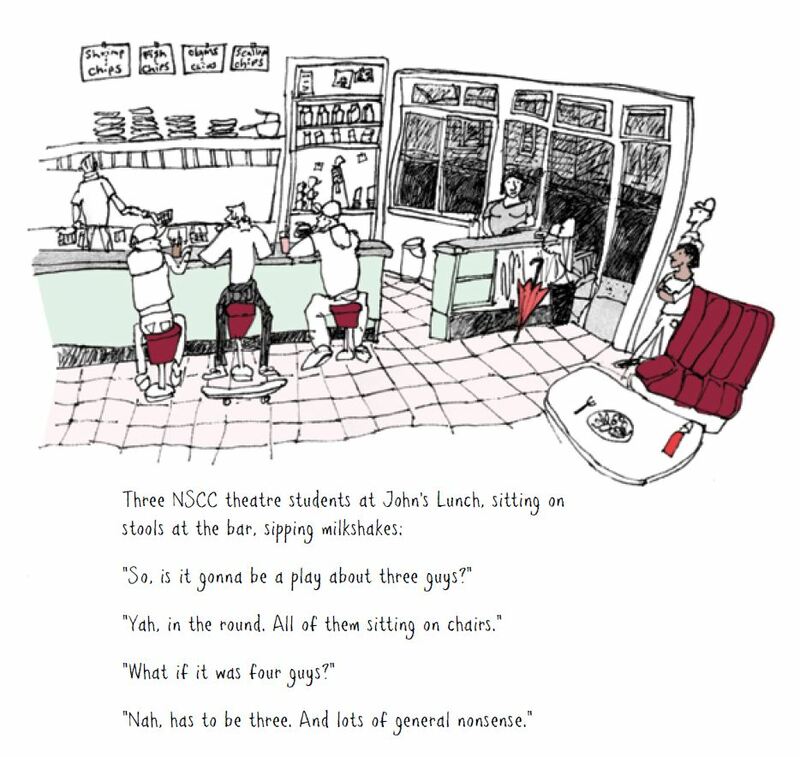 I also spent hours looking at the drawings of Quentin Blake as a child, and that influence seems to have come through! MTH: What is next for you art-and-book wise? And where can people go online to find out more about you and your work? 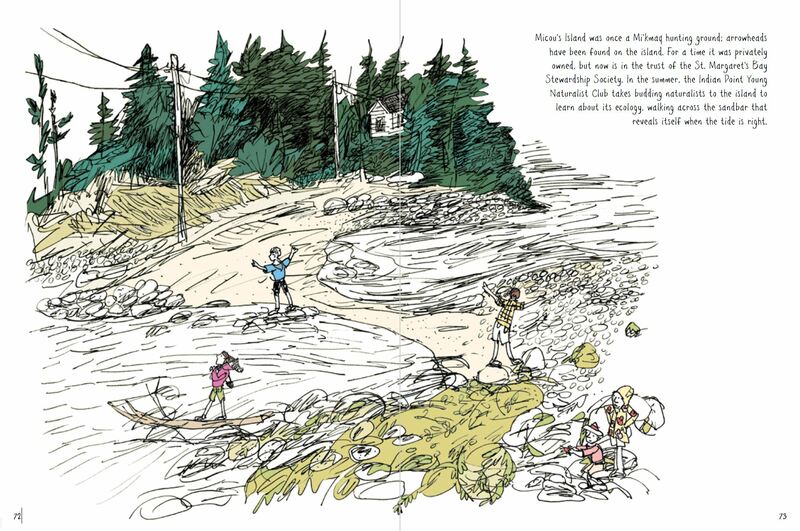 EF: I have a new book I am working on, about the South Shore, another beautiful area of Nova Scotia. I am also getting ready for a wonderful Christmas craft fair put on by Halifax Crafters, a local organization that is committed to local artists finding a viable economic outlet for their work! I have a website, at www.emmafitzgerald.ca, and just started an Etsy shop. Many thanks Marc! All the best to you and yours. 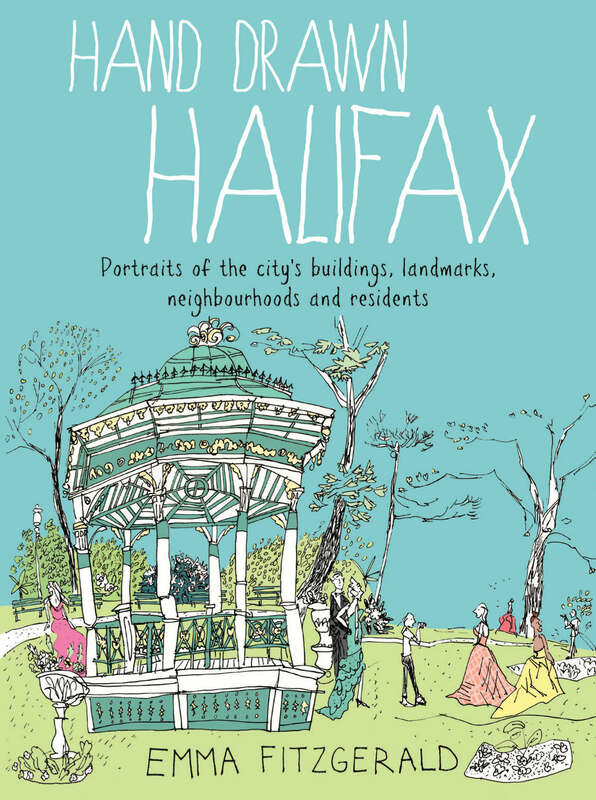 You can get a copy of Hand Drawn Halifax from the usual suspects. Your local bookstores can order from Formac Publishing .You can order from Amazon US or Amazon CA – or purchase directly from Emma’s Etsy shop. Thanks for the review Marc, I love urban sketchers… I will look for her book, proud Canadian that I am… I love to see what Canadian artists are creating! Looks an interesting read, especially given there’s a chance I might visit over there next summer… Great review!